The Law of Attraction is a powerful force as real as the Law of Gravity. It’s working at all times, whether we are consciously aware of it or not. The Law of Attraction simply states “like attracts like”. Your positive (and negative) thoughts, words, and actions will attract that back to you in some form. 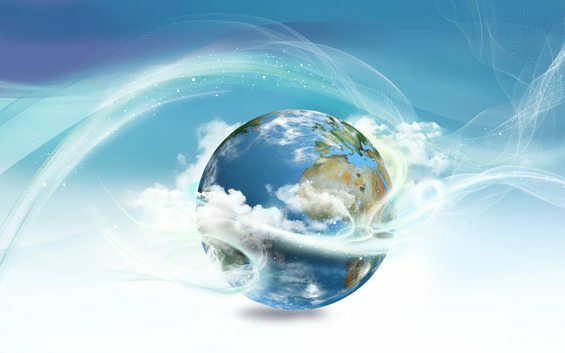 Just as this world is composed of physical matter, it is also in energy form. 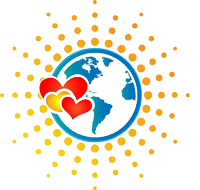 What has happened in the world and is happening, has been attracted in some way. It doesn’t always seem fair; but when we begin to learn more about the Law of Attraction and how it can work for us, we can begin to create the life we desire. A life we truly LOVE! Another new thought leader, James Allen who wrote “As a Man Thinketh” (which is free on Amazon for the kindle version), believed this same theory. His book brought faith, inspiration, and self healing to the millions who have read it. The most popular modern day reference to the Law of Attraction is “The Secret“, a book and movie, by Rhonda Byrne. Both teach the concept that your thoughts become things. So if your thoughts are mostly positive you will attract more positive. If your focus is more on negative than that is also what you will attract. 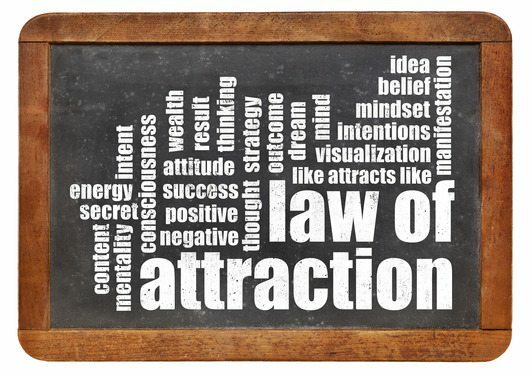 So, the Law of Attraction seems pretty easy and self explanatory, right? Sure, yet so many people learn about it, understand it, try to apply it and have trouble. Today, so many people are unhappy, depressed, and in ruins with life, finances and relationships. 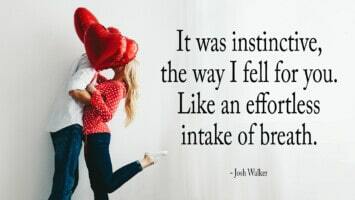 So, we want to spread the word on this powerful force and, in a very concise and easy way, we want to guide you through the process of the Law of Attraction, and how to use it to your advantage to create the life you truly desire. Most people are familiar with the phrase “Ask, Believe, Receive.” While “Ask” is considered the first step of creation in the Law of Attraction, and we believe Asking is very important, it is only part of it. Before you ask, be sure it is what you truly wish for. To start, give yourself time to be alone in silence, where you can sit and reflect on life. Get your computer, journal or notebook and allow the creative ideas to flow. Ask yourself. . . Allow yourself to open up, dream and be playful with your visions – just like a child. Children believe they can do anything and do it well. Some of us tend to lose that feeling as we get older and make mistakes. Mistakes are part of life and they allow us to adapt, change and grow. We can truly have, be and do anything we set our mind to. As you do this, write whatever comes to your mind. Allow only good thoughts and feelings to flow. Good feelings are truly the key to the Wish then Ask process. If your dreams scare you just a little bit, that’s okay. In fact, that’s good! It means your vision is BIG and your potential is BIG enough to achieve it. Keep visualizing them, feeling better and better. 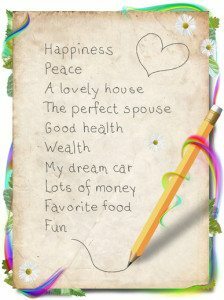 To increase the Law of Attraction visualization and creation processes, we strongly suggest having a vision board. A vision board takes your thoughts and puts them in a physical form you can see all throughout the day. You can also meditate if you’re into that. Meditation for 5-10 minutes a day can really help unlock and increase your power. Once you’ve truly decided what it is your wishing for, stay focused and ASK. Asking transforms the entire Wish process, and begins creation. Law of Attraction: Step 1 – CHECK! The next step is believing. At this stage, you intentionally visualize how you would like things to be. Afterwards, you allow yourself to feel the feeling of that belief being fulfilled. You want to have unwaivering faith that what you desire is coming to YOU. As you visualize this, you have a strong knowing that it is already on it’s way! Due to the buffer of time, things don’t always happen instantly. That’s okay. Stay positive. Sometimes impatience or doubt can creep in during this stage and completely reverse the creation. Living in faith and positive emotion will continue allow what you desire to flow to you. Allow each day to be filled with hope, belief, strength and passion for what is to come – release doubt, worry and fear. 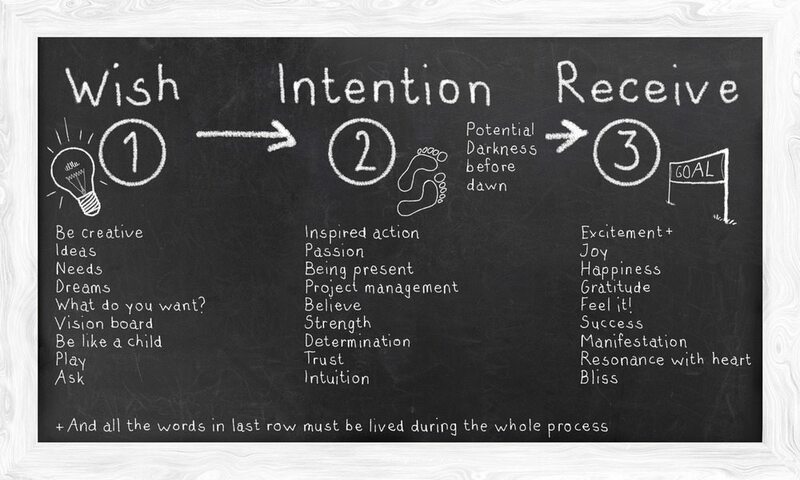 Keep your actions aligned with your intentions and your desires will naturally attract. Negative emotion does not serve you. It is an illusion to hold you back. Doreen Virtue described this process very well on an interview she had with Lisa Garr on GaiamTV. 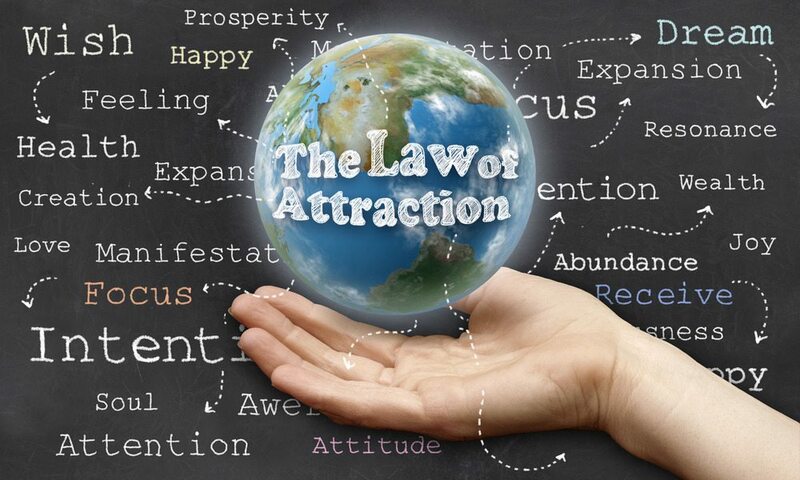 She described the law of attraction process like placing an order at a restaurant. You look over the menu and decide exactly what you want. When the waiter comes, you give him the order with any specific requests. The waiter happily takes your order and heads to the kitchen. While you’re waiting, you enjoy yourself with friends or family, not worrying if the waiter is going to get the order right or if it will even come. Know that you will be taken care of, and that everything will be fine. The second stage is where you happily wait and enjoy the journey. 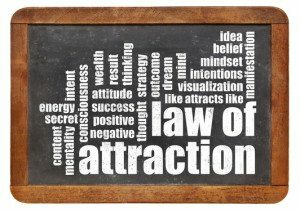 Yes, it may and usually will require action – it is the Law of AttrACTION after all! To be sure you are taking the correct action, that is in alignment with your wish, you can listen and follow your intuition. Here, you are taking inspired action steps that are calling you to bring your wishes to fruition. During this process it’s important to keep your passion flowing, but not overdo it. Live in the moment and allow time to just be. Take time to be present; trust, and believe in the process.. Being present allows you to connect with everything around you, and recognize the gifts of opportunity being presented that will allow you to move forward. A strong intention requires inner strength. Many desires reside in a place where you aren’t currently at, and you have to keep your thoughts, words, and actions positive and in alignment with your intention to ultimately attract your desire. You know that your intention is for your best interest, but as you set your intention, there will be temptation to fall back into the old habits and patterns that ultimately keep you from what you want to attract. The light energy wants you, but so does the dark – they both want to grow. All throughout the spiritual world, we are told not to give into temptation – that the blessings can be taken from you as quickly as they are given. Your thoughts can be influenced, but in the big picture, they are your sole possession. The effectiveness of your belief systems are built on a foundation trust. What you feel is true can only be true for you if you trust that your belief process will ultimately bring your desires to fruition. If you feel that your beliefs will not attract your best life, you do not trust them, and they will not help attract what you seek, but something else. Remember that the Law of Attraction works both ways; it can bring you what you want, and it can also bring you what you don’t want. It’s up to you to trust in the process. Gratitude is key in the Law of Attraction. The Universe rarely delivers all that you desire in one fell swoop, but rather gives you bits and pieces of the puzzle to realize and put together. For each bit and piece, you must trust that it is being delivered for your best interest overall, and be thankful for it. Thankfulness for what you already have before your desires are delivered is a main ingredient in this recipe for success. Overall, depending on your own thoughts and expectancy, the Intention Process can possibly take the longest. The length is truly dependent upon YOU. Stay patient, focused and determined that it will happen while remaining open to it possibly coming in a slightly different form. This can and does happen. The abundance you’re seeking comes through a different avenue. Potential mistakes and challenges can arise and that’s okay – that’s part of the fun of it. You always learn something new, and grow just a little more. 😉 Remain steadfast because receiving is next and last step of the Law of Attraction. When you begin the receiving process of the Law of Attraction, congratulate yourself and CELEBRATE! You deserve it! This excitement will help the manifestation process fully come to fruition, possibly even accelerate it and exceeding your expectation. Continue to live in positive emotions and realize and reflect on the true power that you’ve always had within in you. You can achieve success like this in anything you apply these principals to. Remember, this isn’t something you’ve just activated because you are conscious of it, it’s been working the entire time. Now you know how to fully harness your power through the Law of Attraction. Every thought, word, and action forms a co-creation with God and the Universe. You do have the infinite power of co-creation. Consciously working the Law of Attraction to your advantage can bring you success beyond what you may have previously thought impossible. The potential for everything exists in God and the Universe, but the ability to attract exists in YOU. Everyday, continue to receive and FEEL the positive energy and emotions flow through, so you can live in a state of constant allowing and receiving for your highest good. A state of continual success.